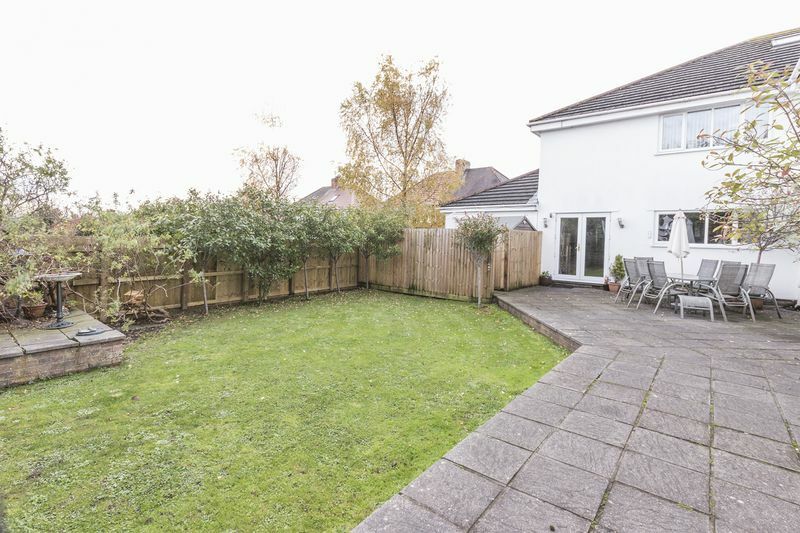 **UNIQUE DETACHED PROPERTY WITH AN ANNEX**BASSALEG SCHOOL CATCHMENT**FOUR DOUBLE BEDROOMS ALL WITH EN SUITE BATHROOMS**SUBSTANTIAL LIVING ROOM**LARGE KITCHEN DINING ROOM**GAMES ROOM**CINEMA ROOM**ONE BEDROOM ANNEX**DRIVE FOR MULTIPLE VEHICLES**ENCLOSED REAR GARDEN** Pinkmove are delighted to offer this one of a kind extended, family home located on High Cross Road in Rogerstone. 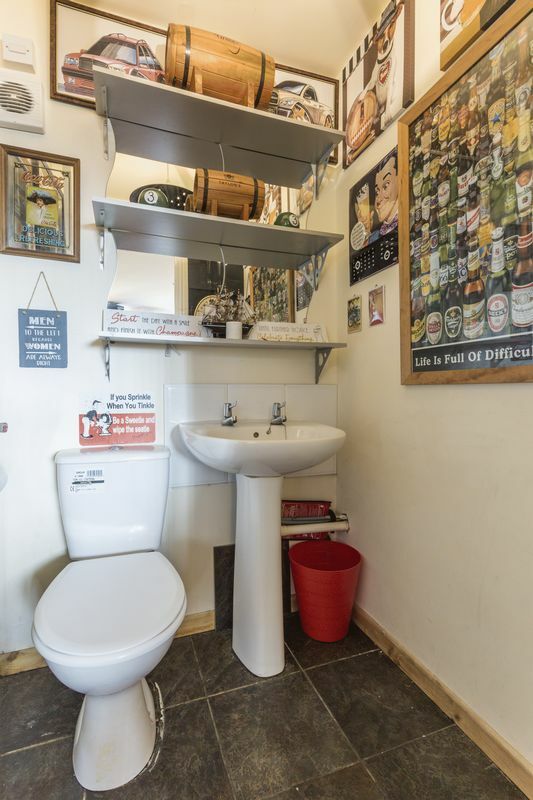 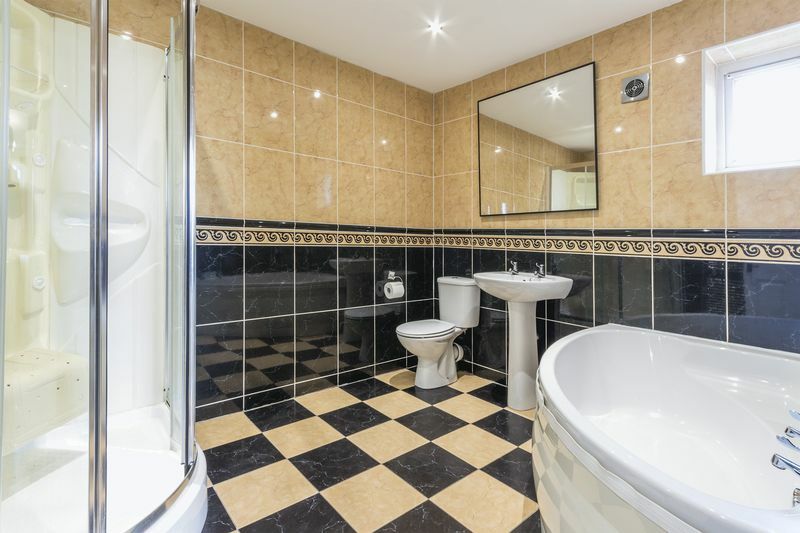 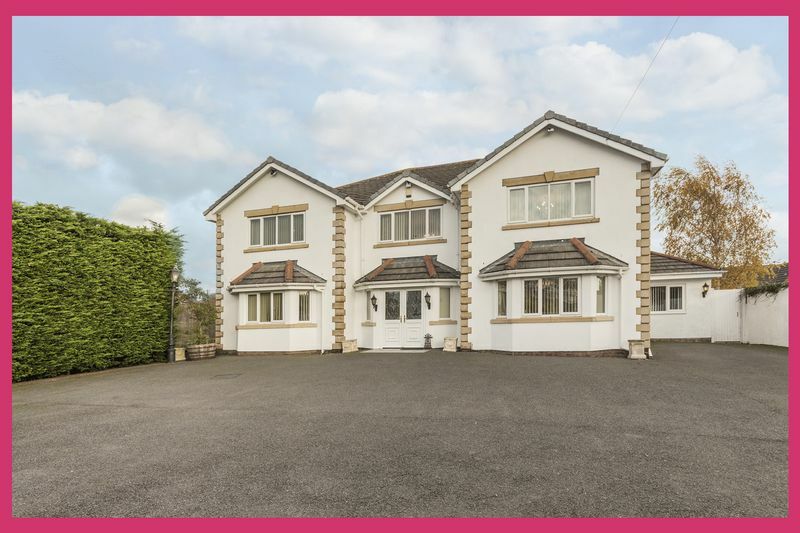 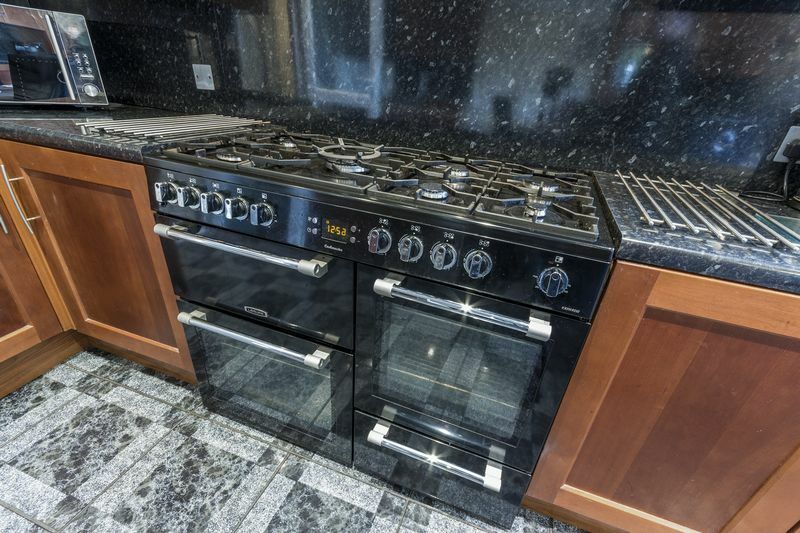 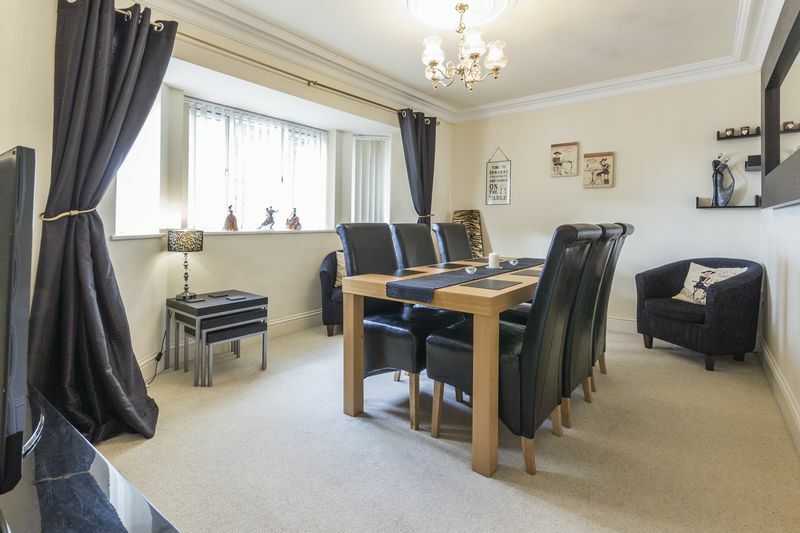 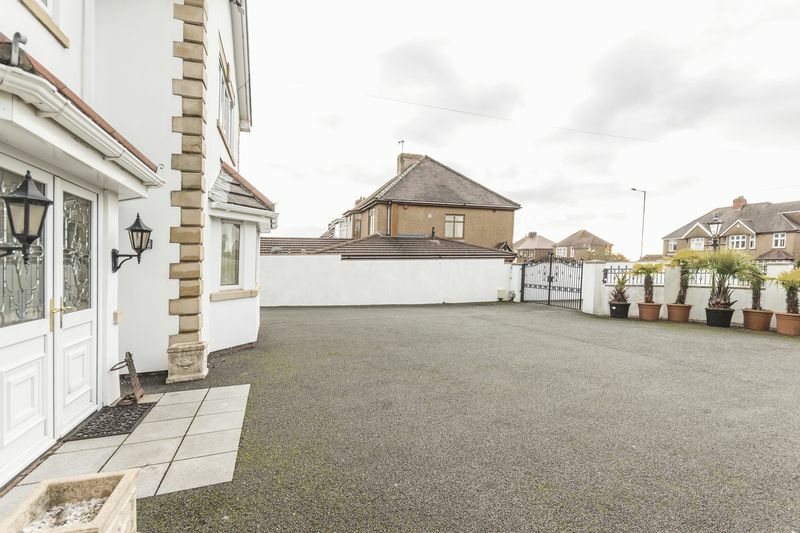 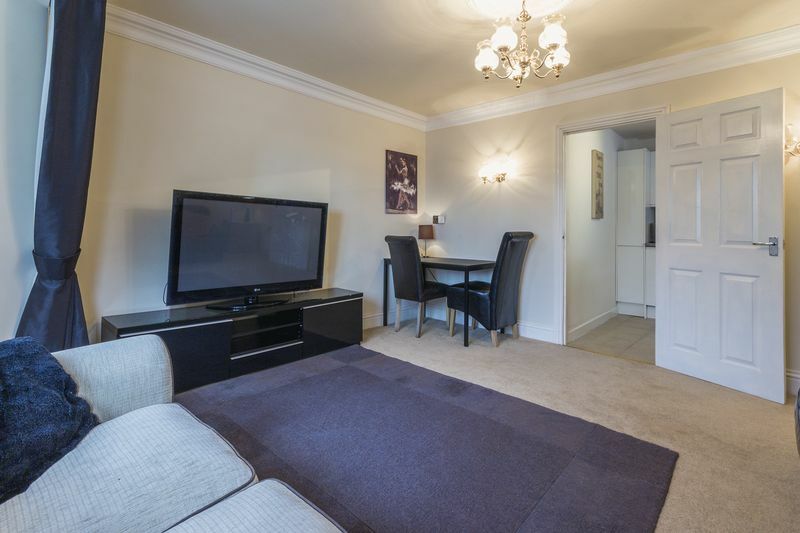 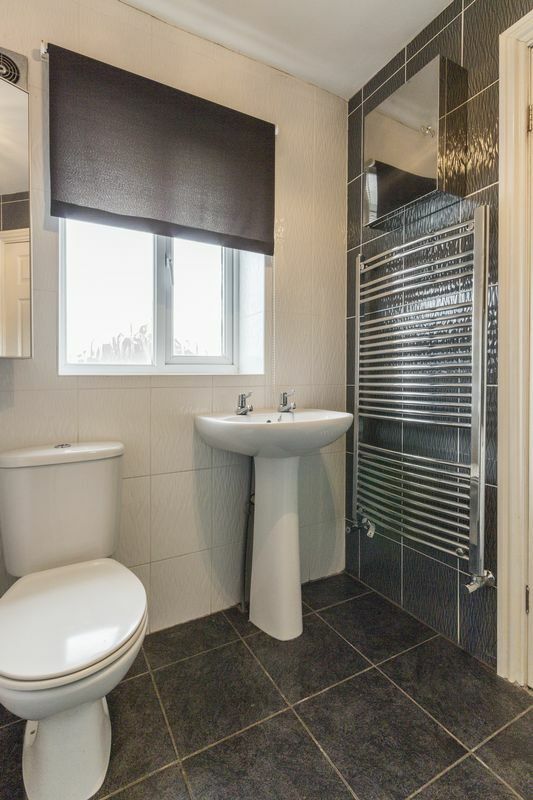 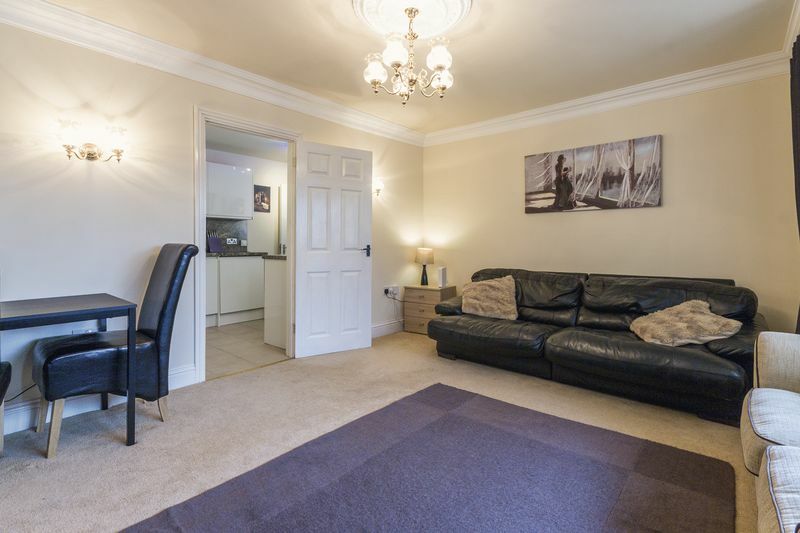 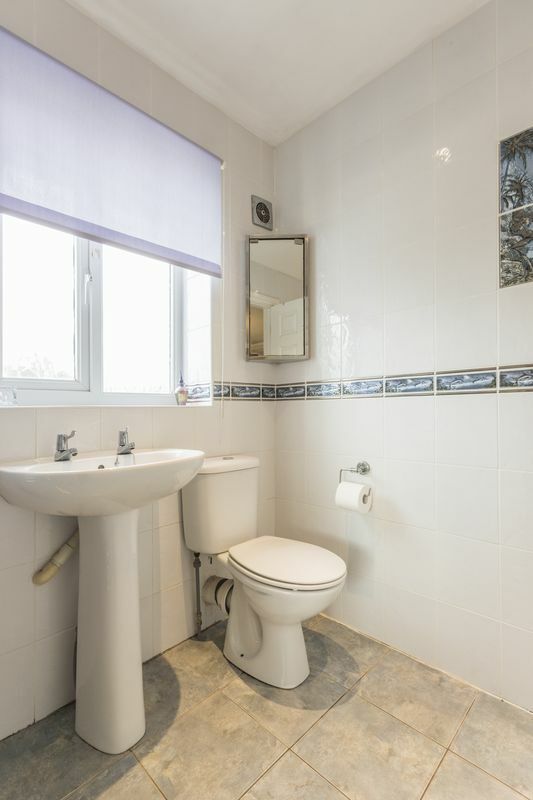 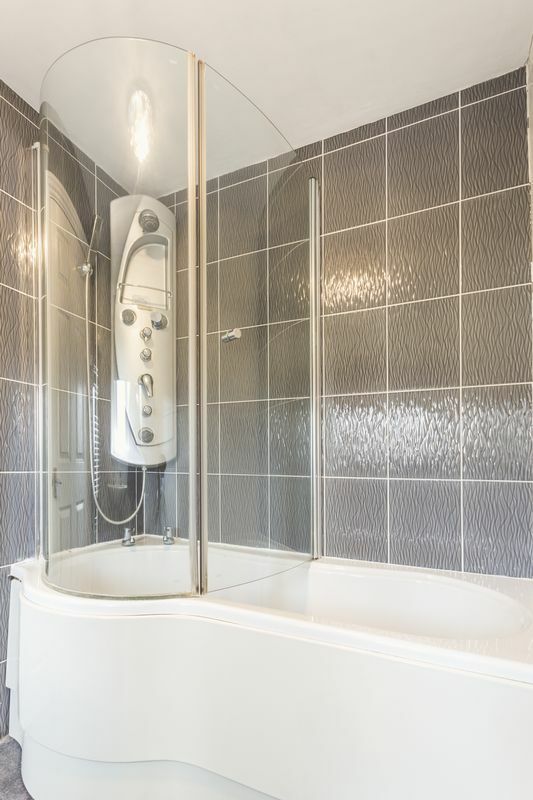 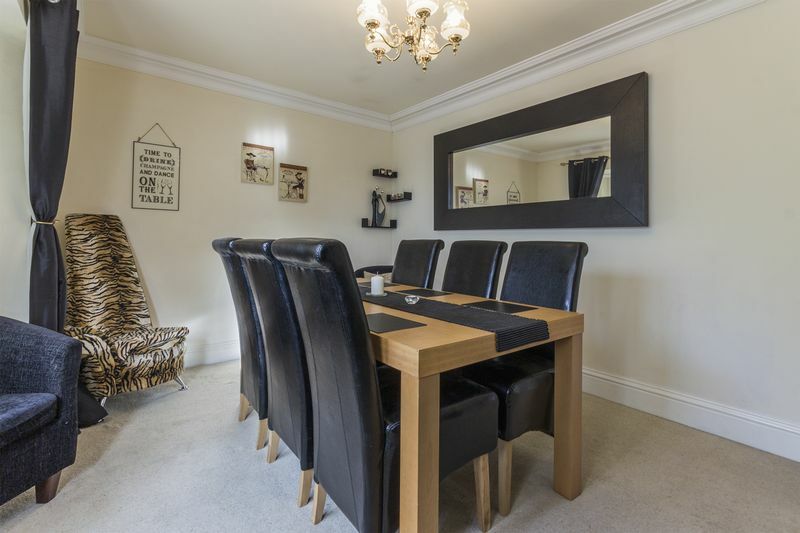 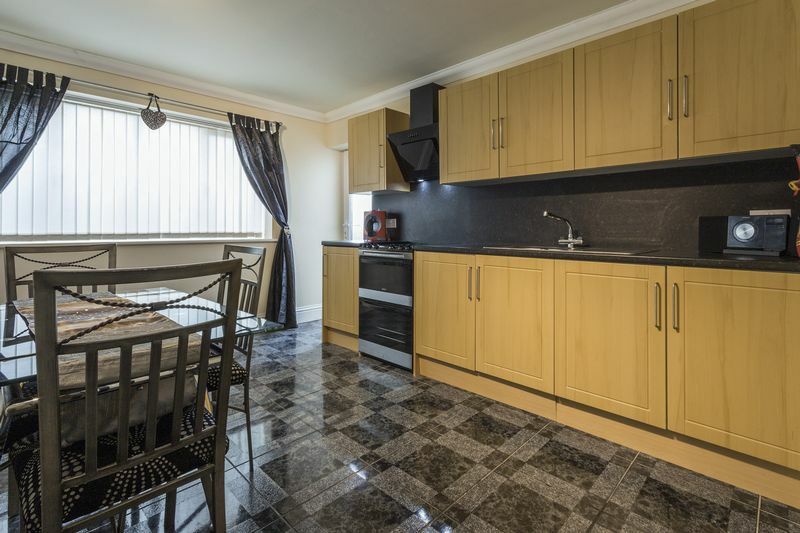 The property lies on the West side of Newport and has excellent transport links with easy access onto the motorway at Junction 27, it is also a short distance away from the local train station, which has a direct line into Cardiff Central. 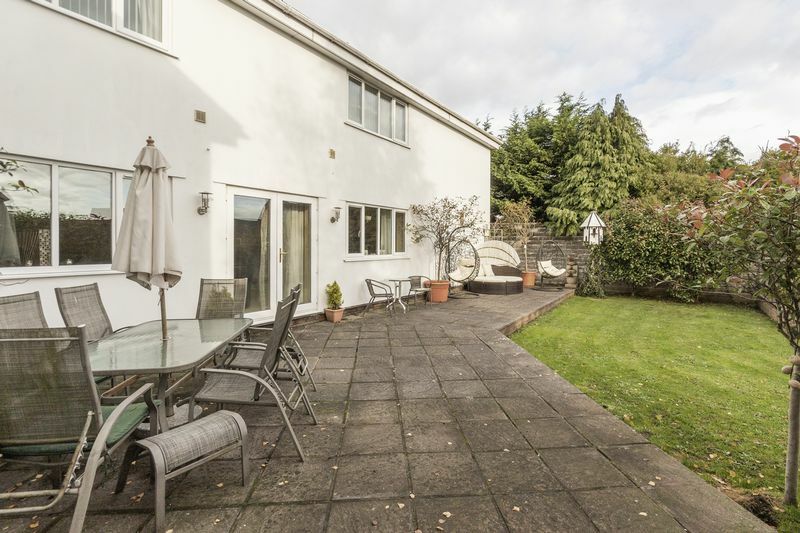 The property is in the catchment of sought-after schools such as Bassaleg School and High Cross Primary and close to local amenities, and a perfect property for multi generation living. 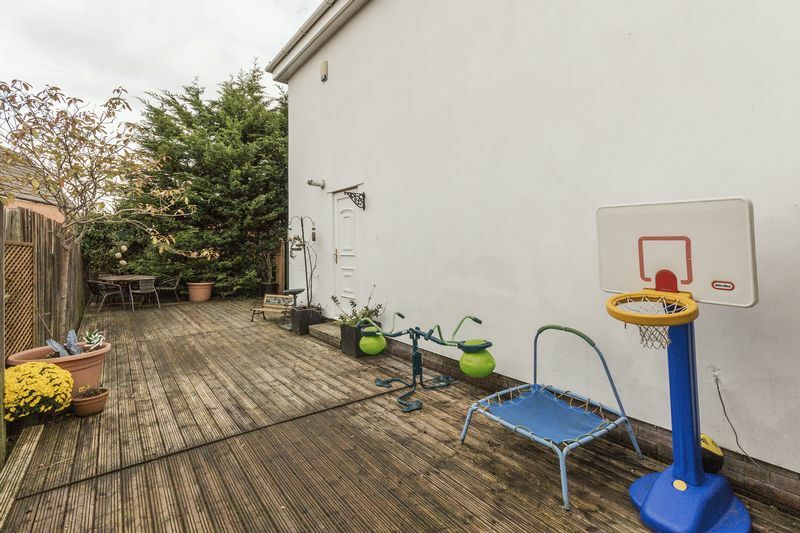 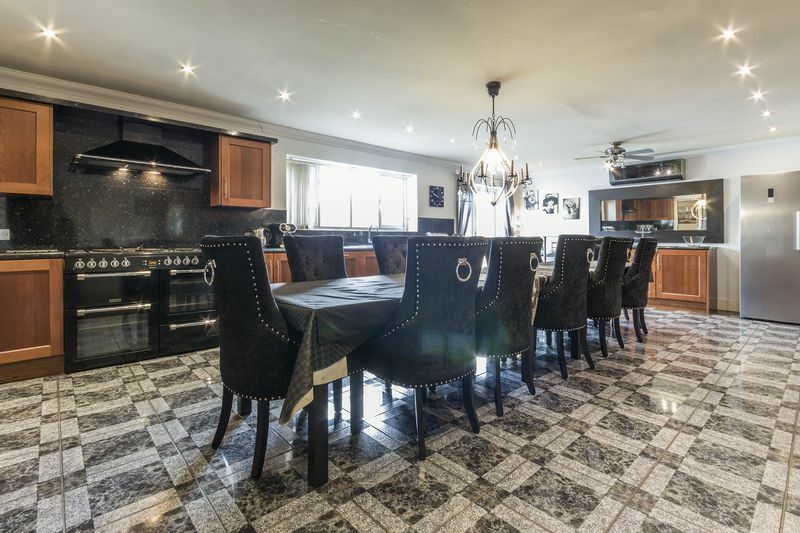 The property is accessed via a private drive and through electric gates, outside the front there is a large courtyard, which provides ample off-road parking for multiple vehicles, as well as access into the rear garden on both sides of the house. 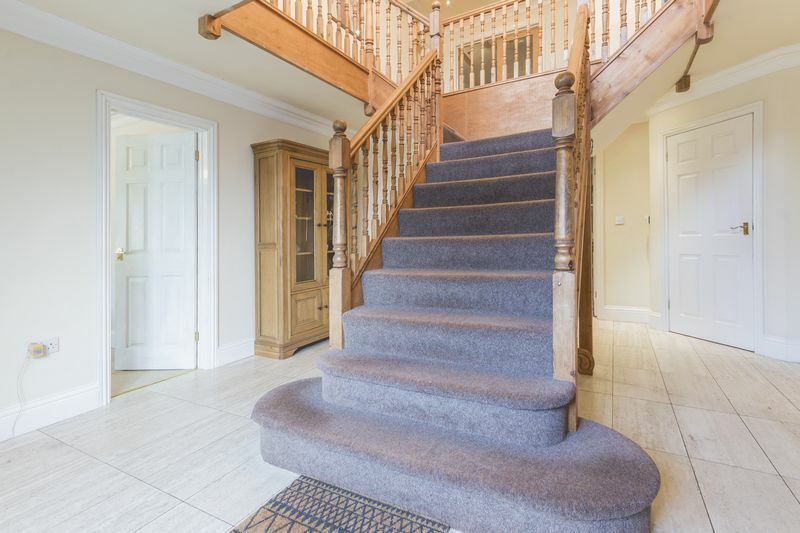 Entering the property through the front door, is the spacious entrance hallway, with a centralised staircase taking you up to the first floor. 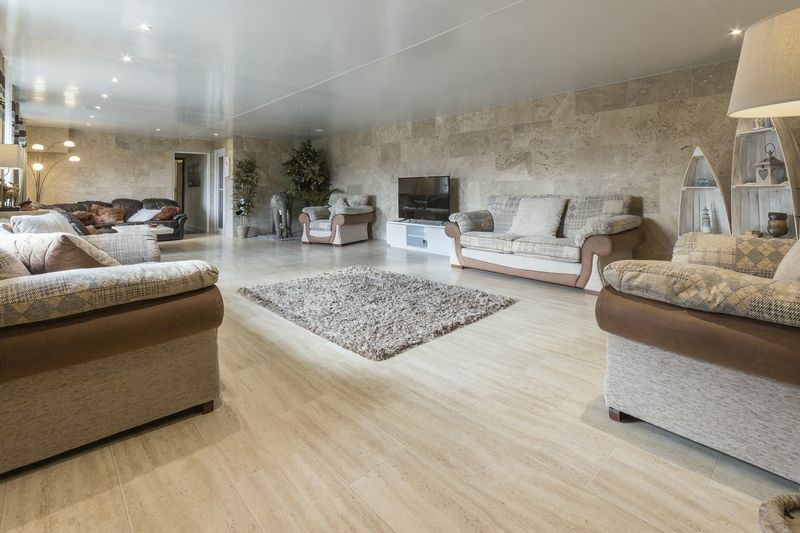 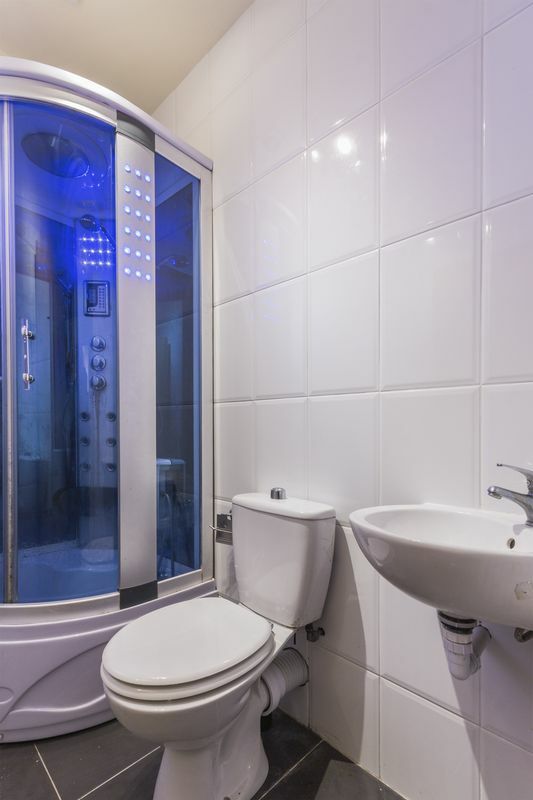 The downstairs has underfloor heating apart from the living room, and the en suites all have electric under floor heating. 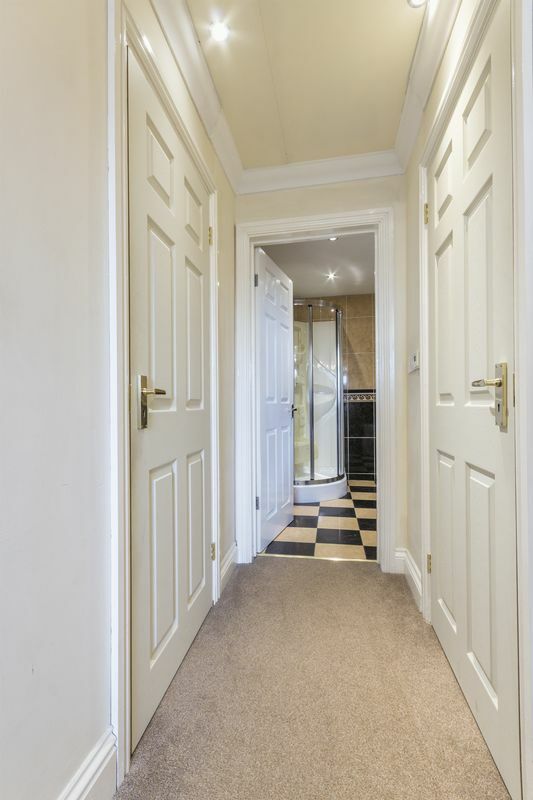 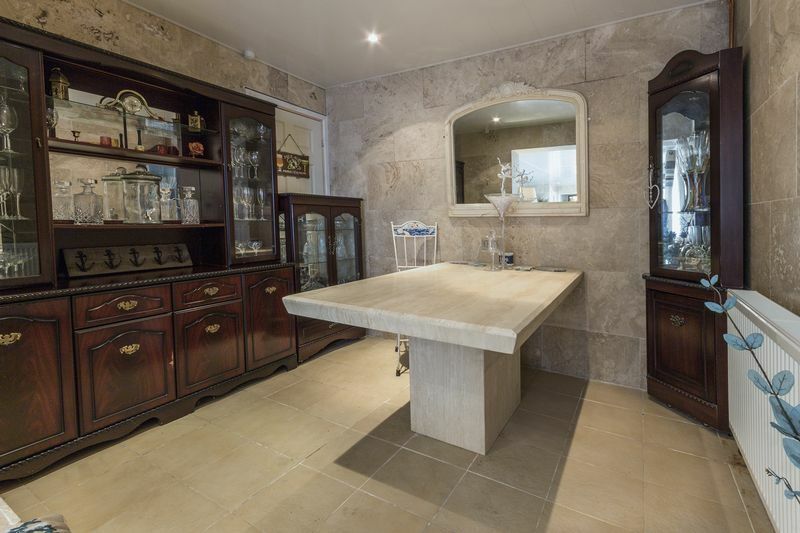 Located off the hallway is access to all the downstairs rooms, two storage cupboards and the downstairs W.C. 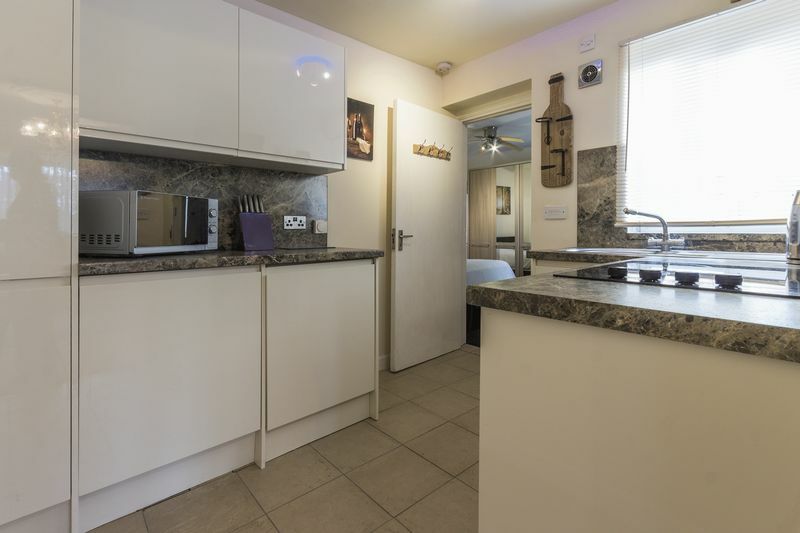 The kitchen diner is a spacious, with cherry oak wall and floor storage space, with an integrated dishwasher, and room for a free-standing American Fridge Freezer. 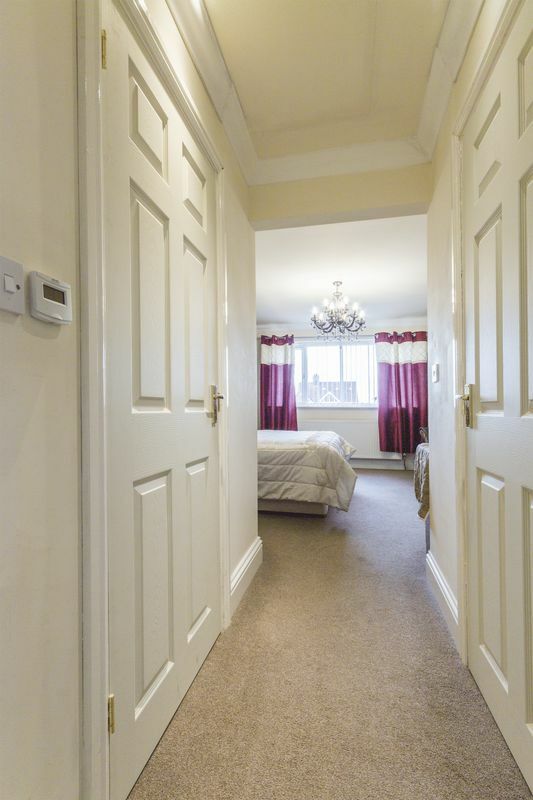 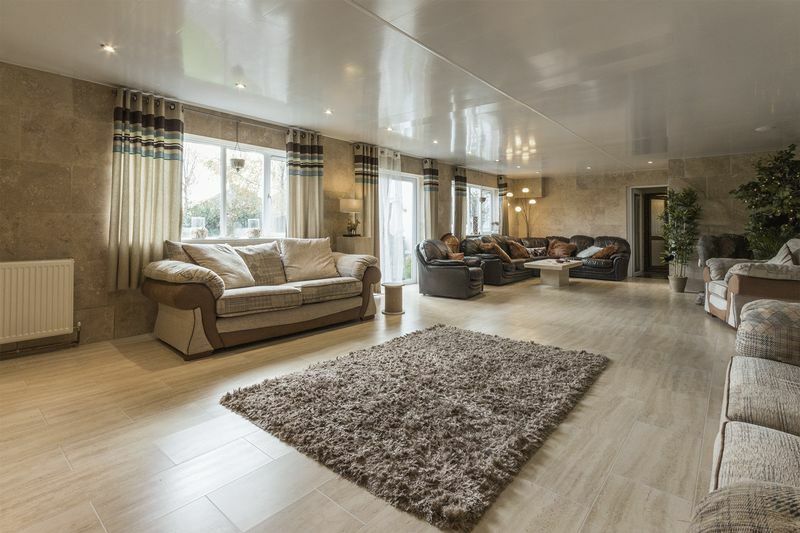 This room also benefits from an air conditioning unit and there is also access out into the rear garden via the patio doors as well as access into the remainder of the house. 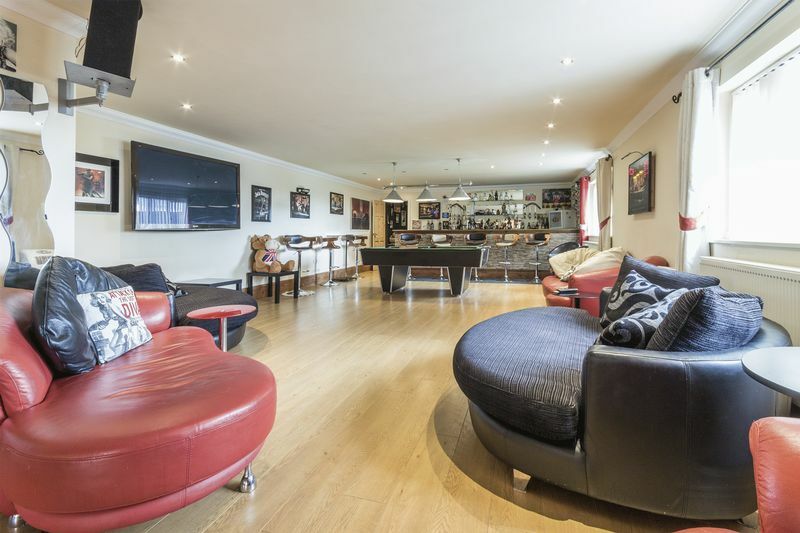 The main living room is located at the rear of the property, this was originally a pool room and could be very easily returned into that. 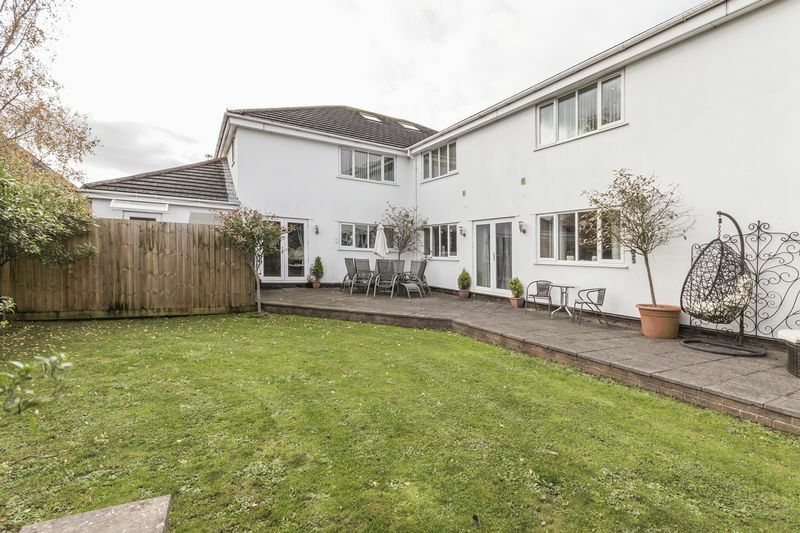 Plenty of natural light filters into the space through the numerous windows and patio doors, that over look the rear garden. 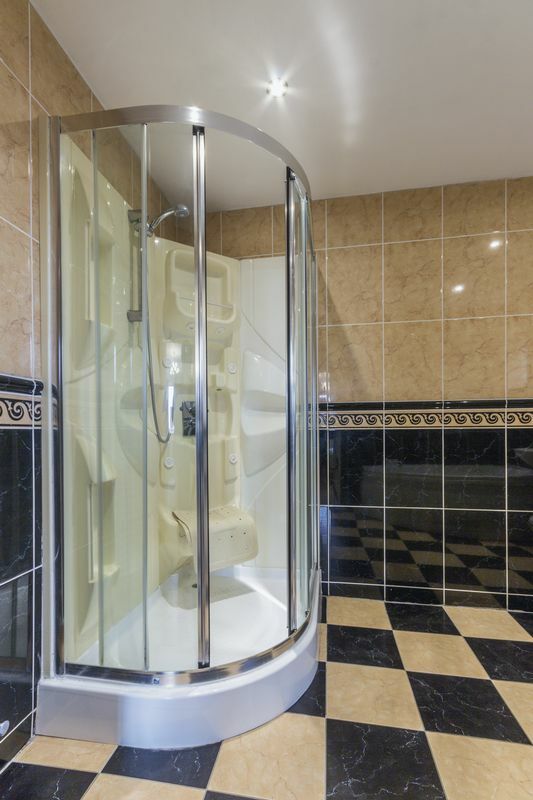 Leading from here is access into the plant room and also a downstairs shower room. 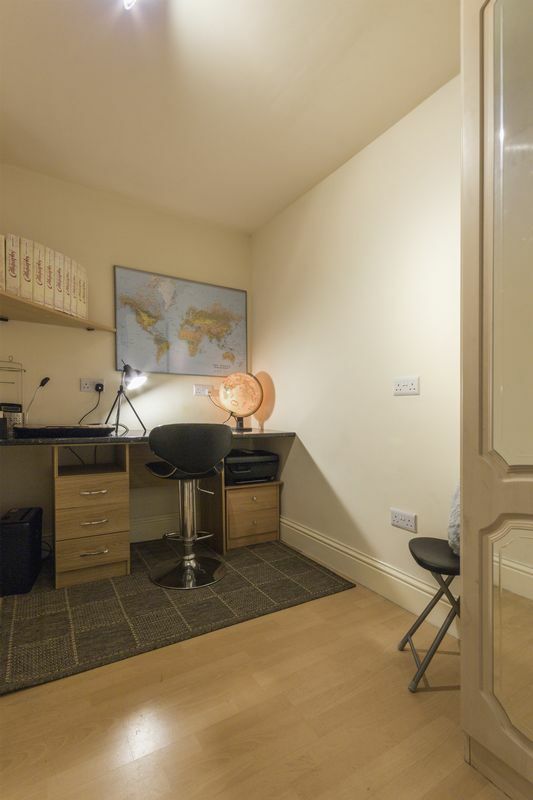 Along the corridor is a further kitchen dining area, which has more useful storage and a room that could be used as a study or bedroom. 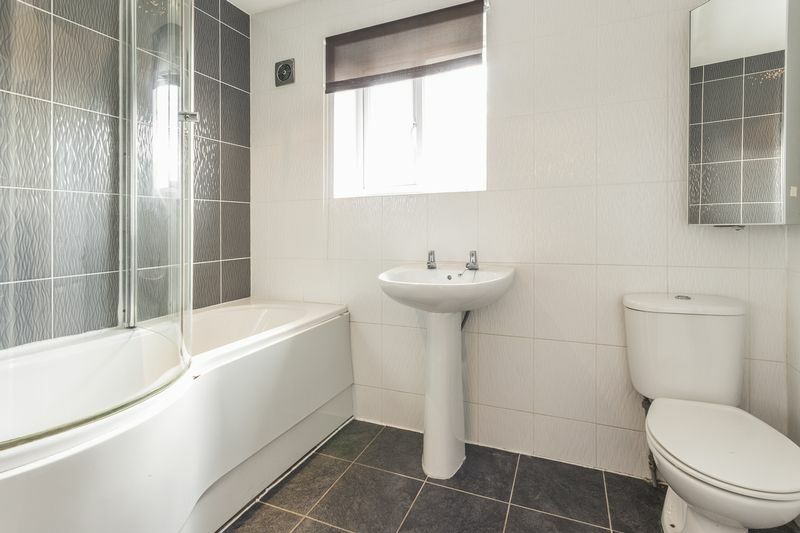 Adjacent is a bathroom, which comprises of a bath with shower overhead, W.C. and hand basin with built in vanity units. 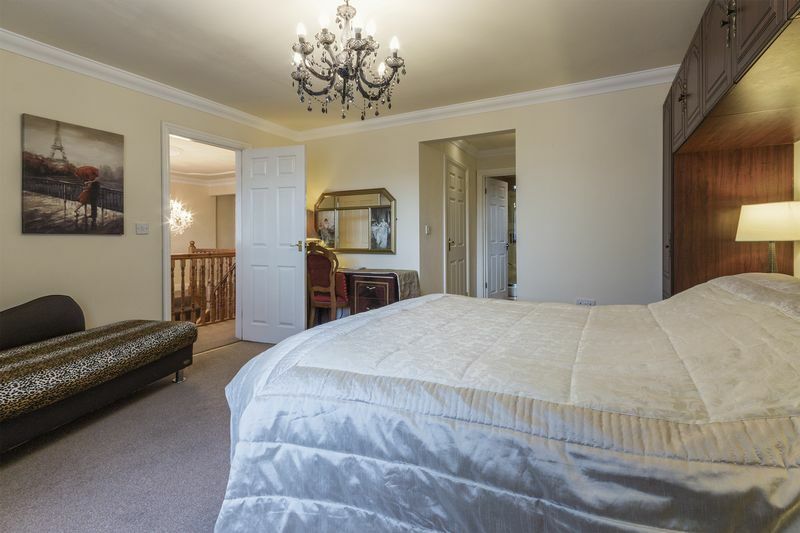 Further along there is also a double bedroom, or could potentially be used as a second sitting room. 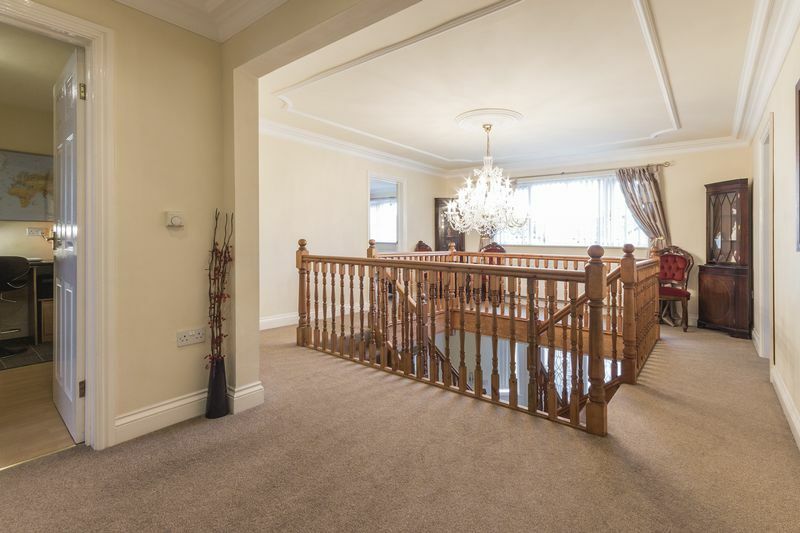 At the front of the house is the dining room, this is a large space with a bay window that overlooks the drive. 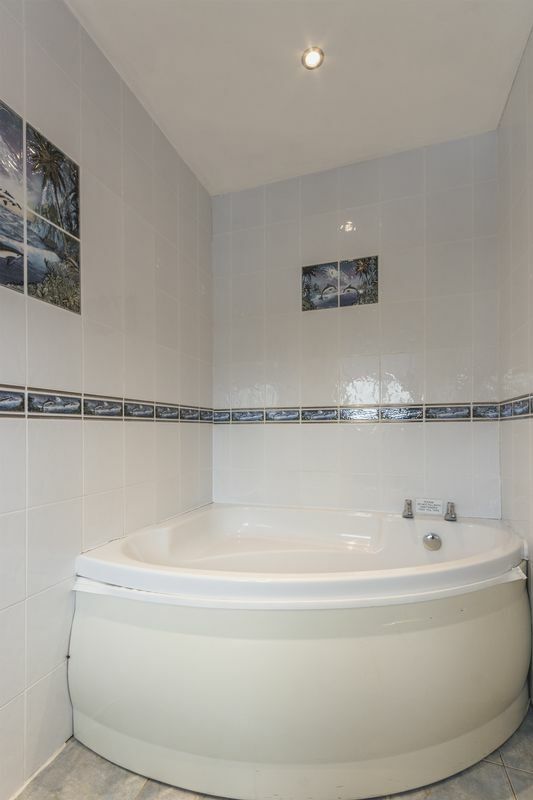 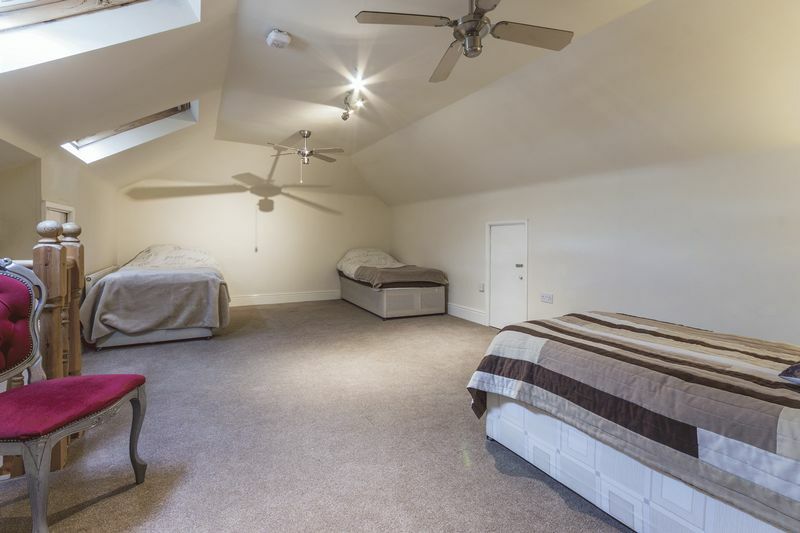 Upstairs there are four bedrooms on the first floor, all of which have en suite bathrooms. 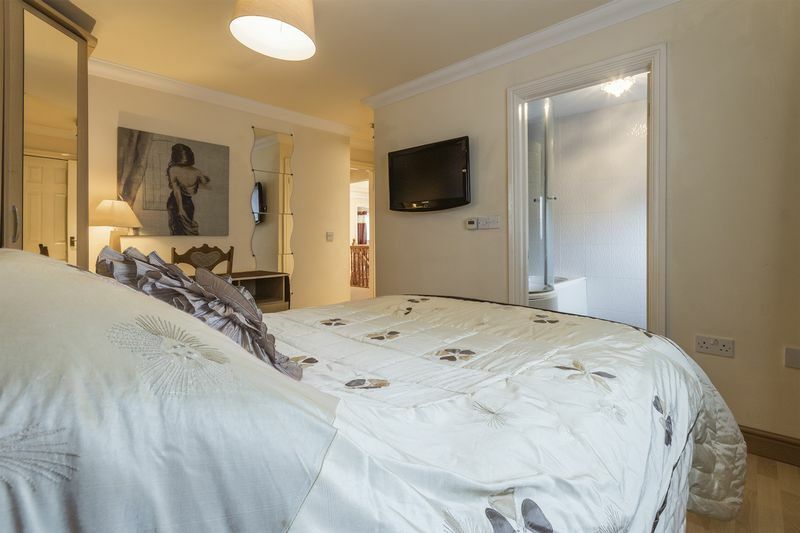 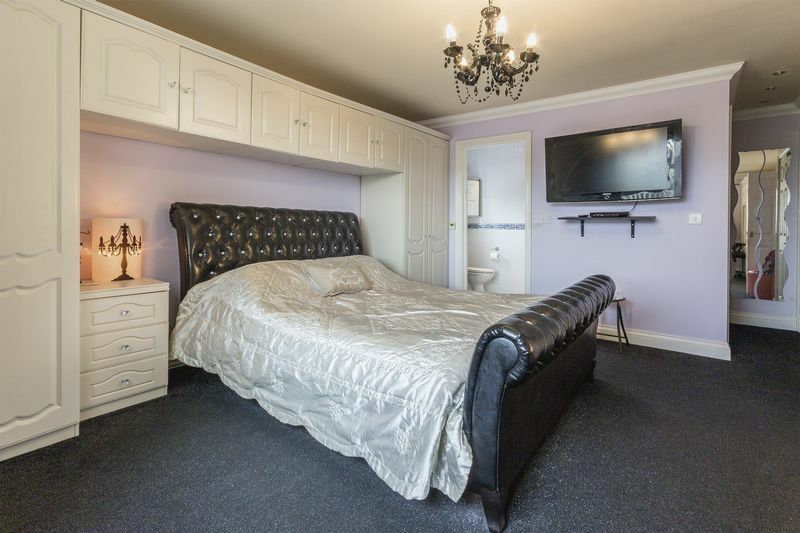 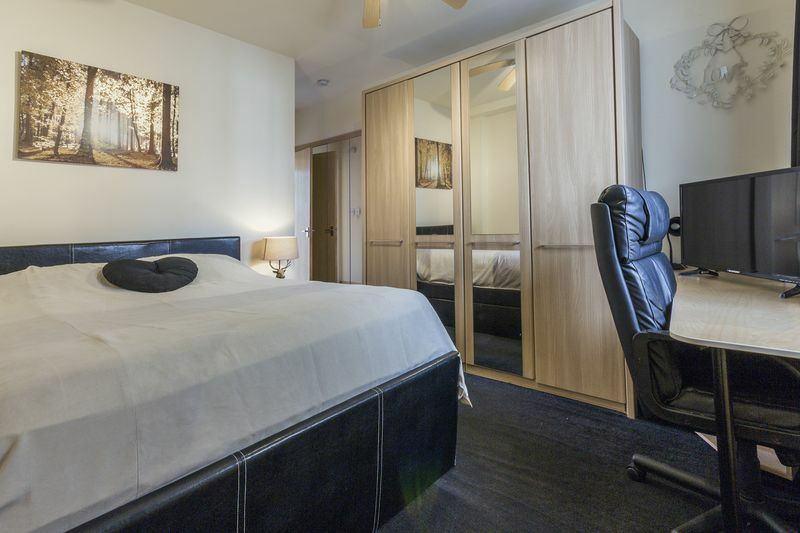 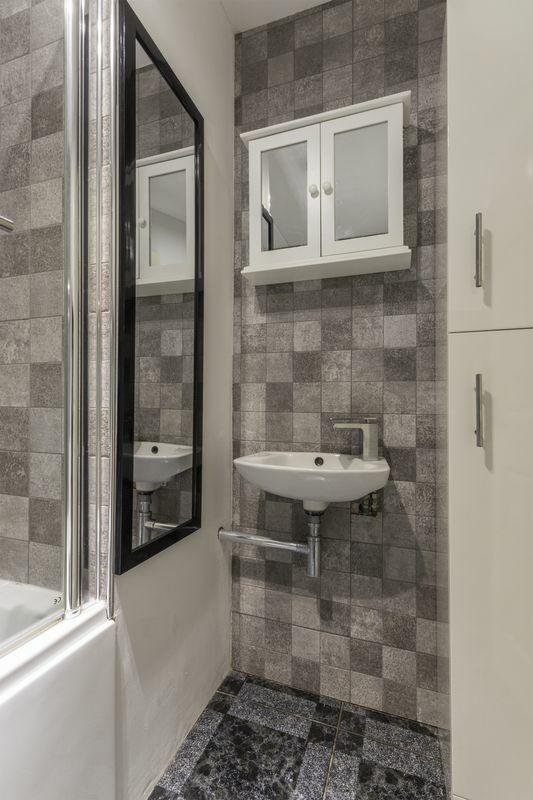 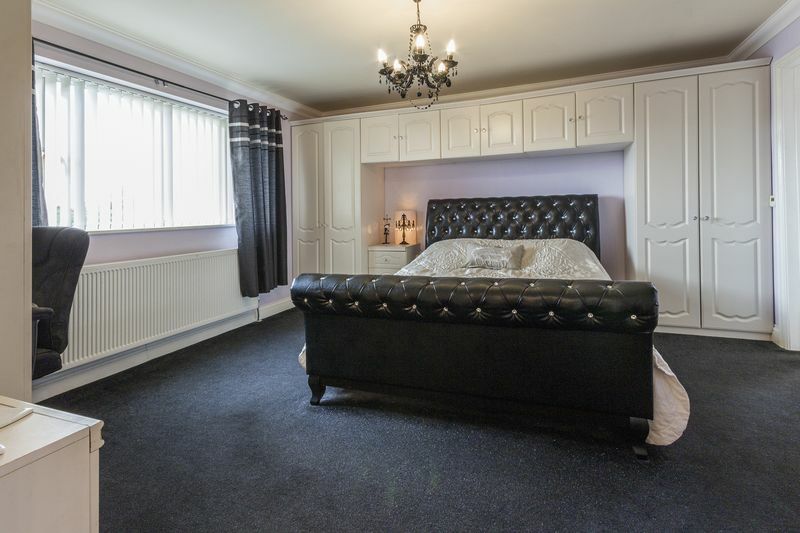 The master bedroom has the benefits of built in storage over the bed as well as two large walk in wardrobes, with the en suite bathroom consisting of both a corner shower, corner bath, W.C. and hand basin. 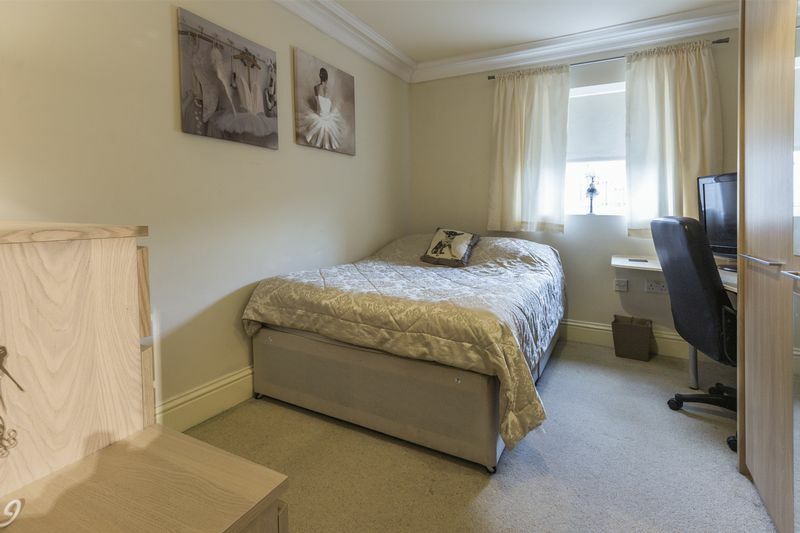 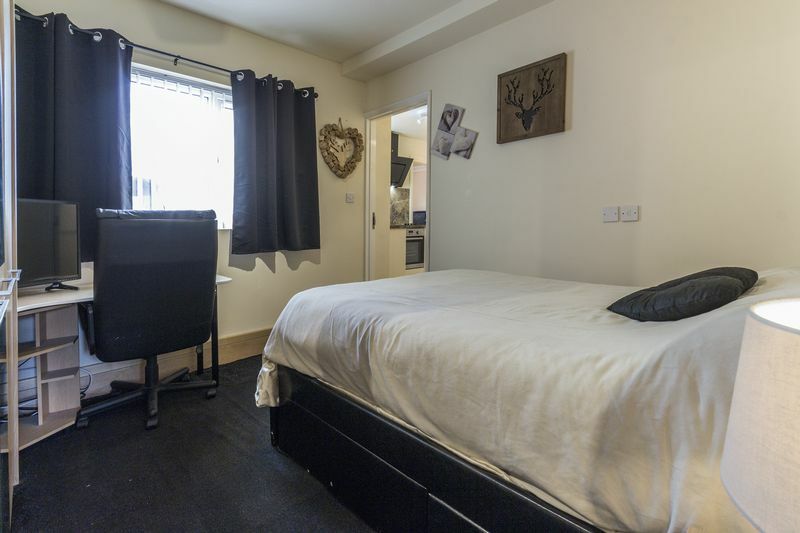 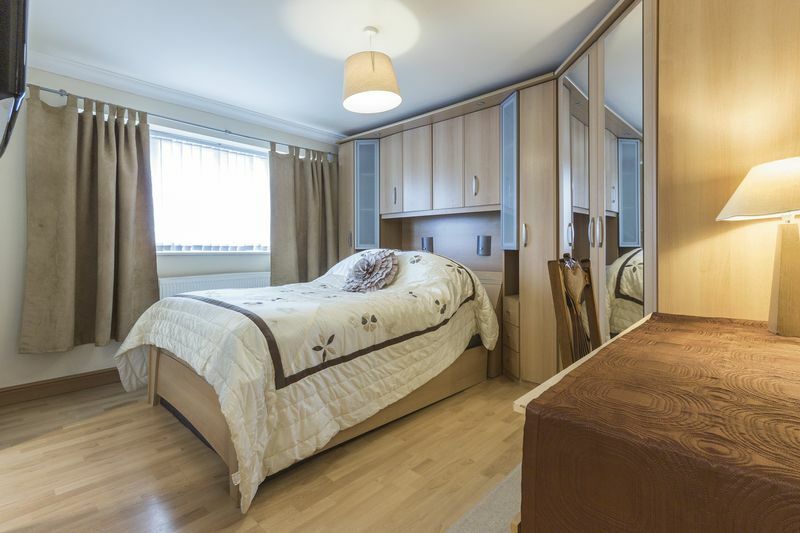 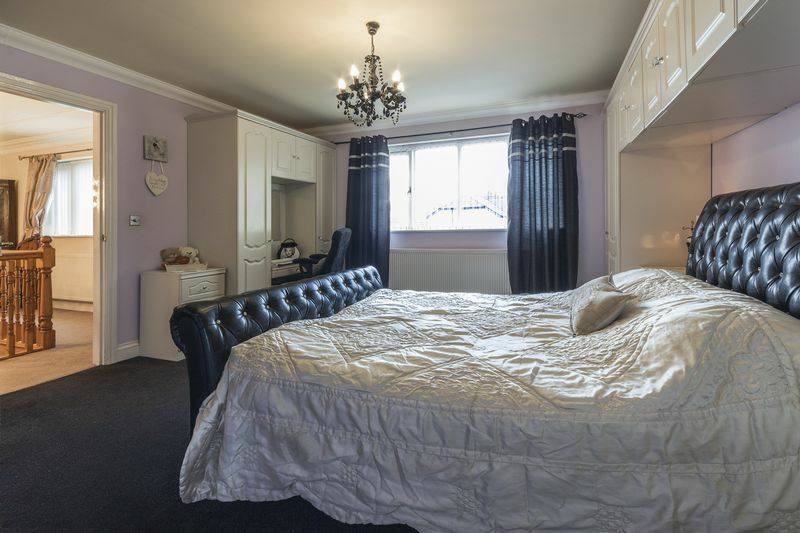 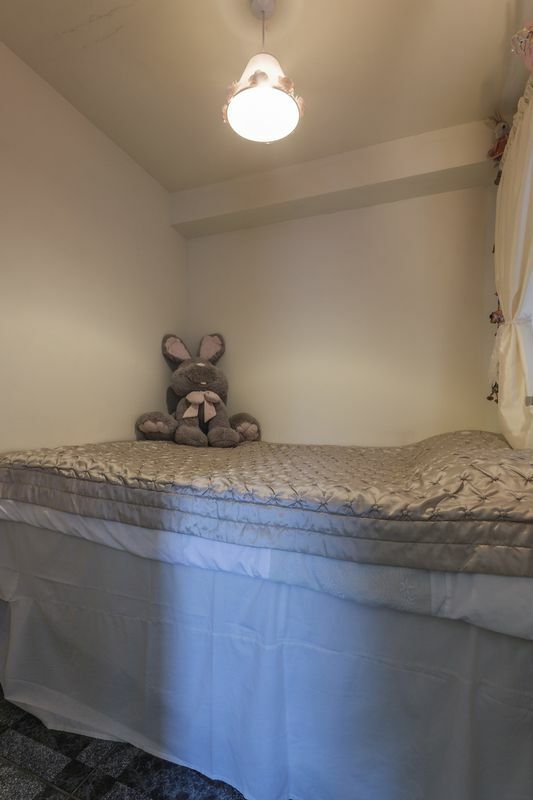 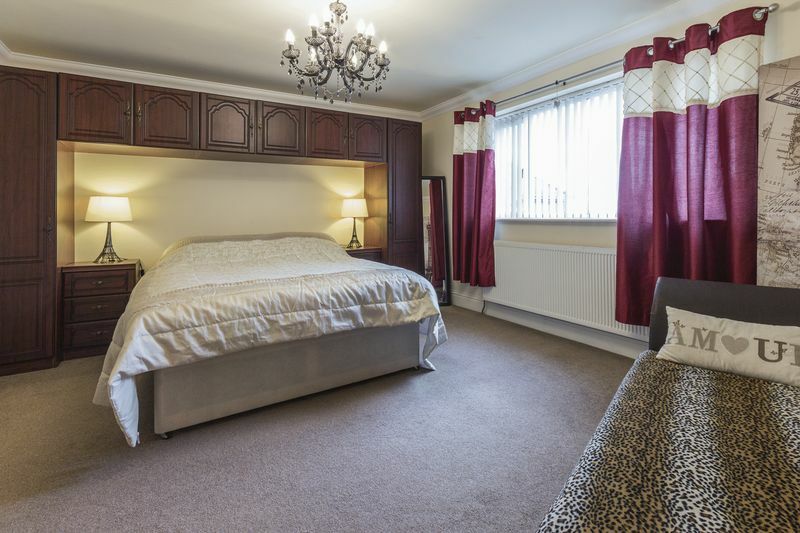 The remaining three double bedrooms all have fitted wardrobes around the bed as well as built in storage. 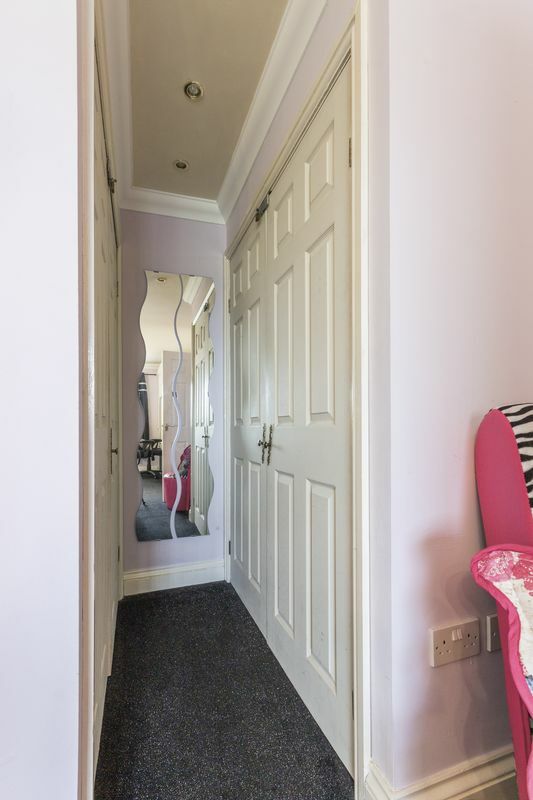 Bedroom three has the advantage of a study or dressing room area before leading into the bedroom. 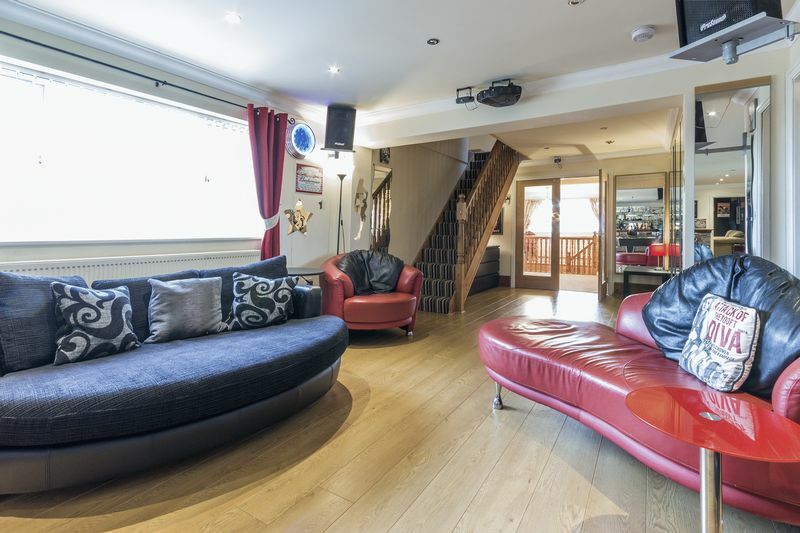 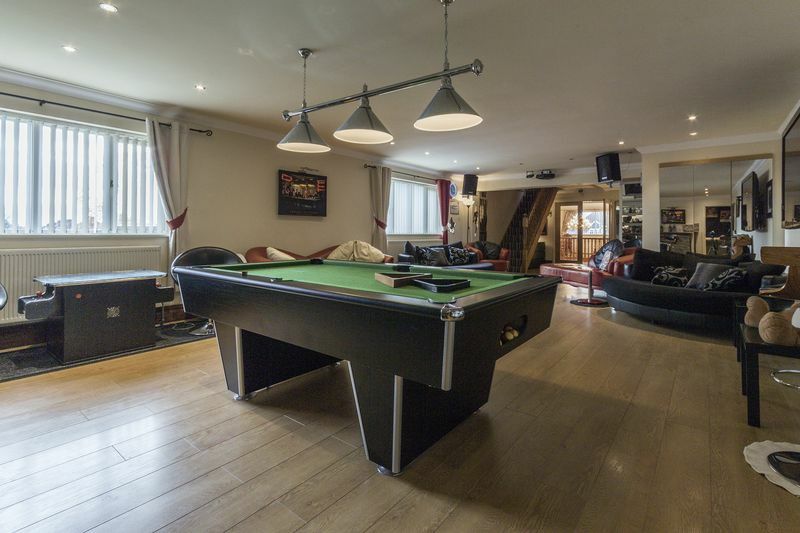 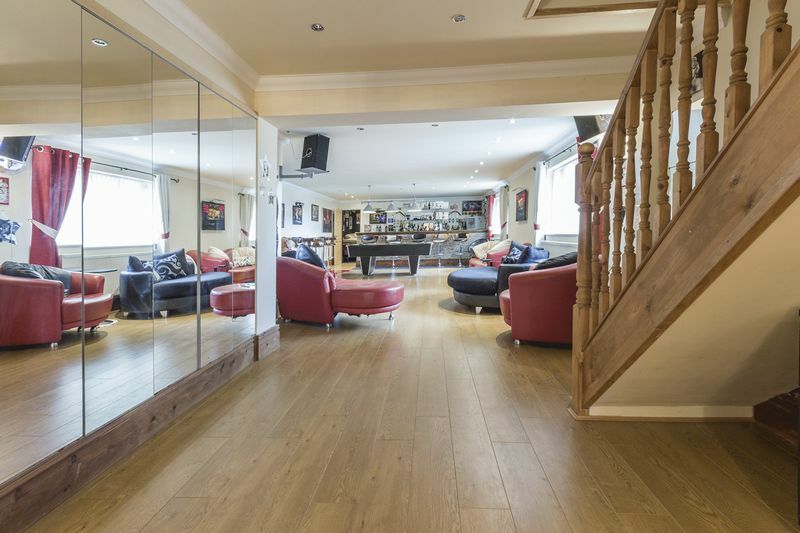 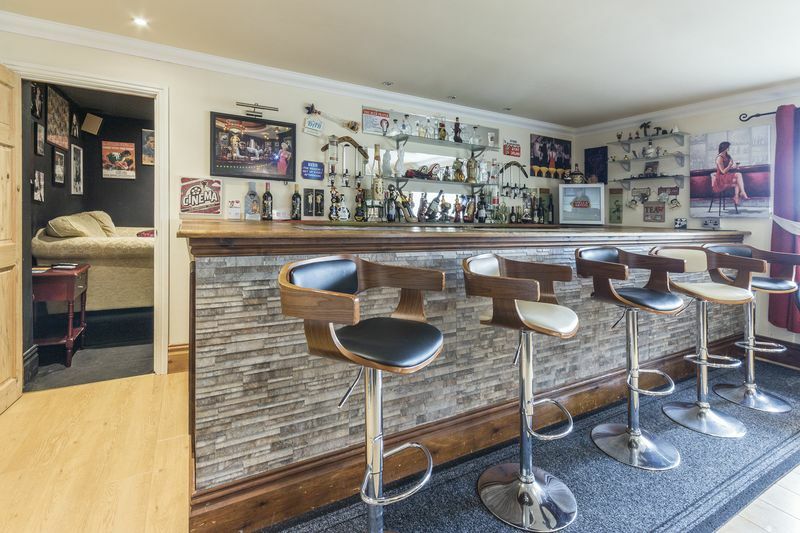 On this floor, there is also a large games room, complete with snooker table and bar area. 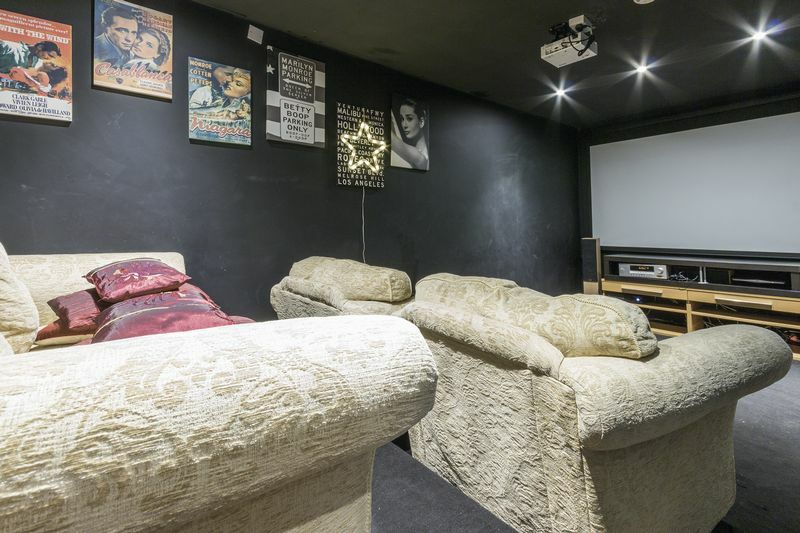 Behind this room is a cinema room complete with comfy settees to enjoy those old school movies. 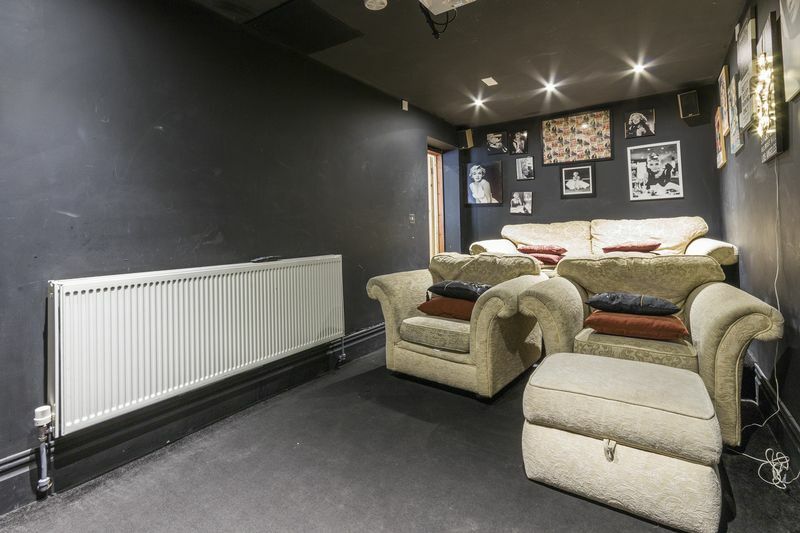 From the games room the second floor can be accessed, this room has the potential to be utilised as a fifth bedroom, playroom or office area. 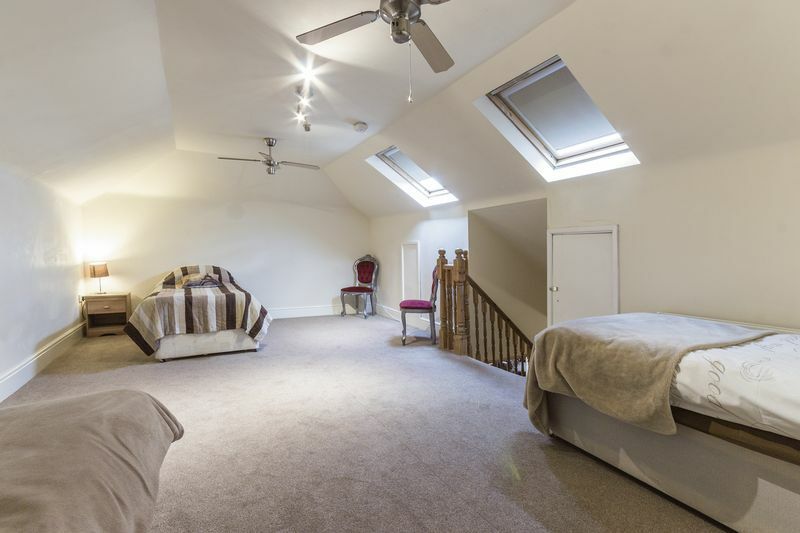 There is access into the eaves on both sides of the room ideal for extra storage. 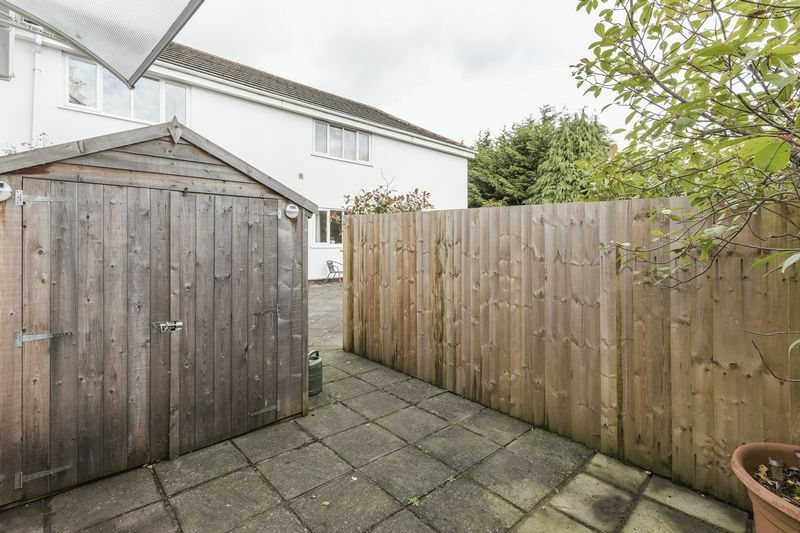 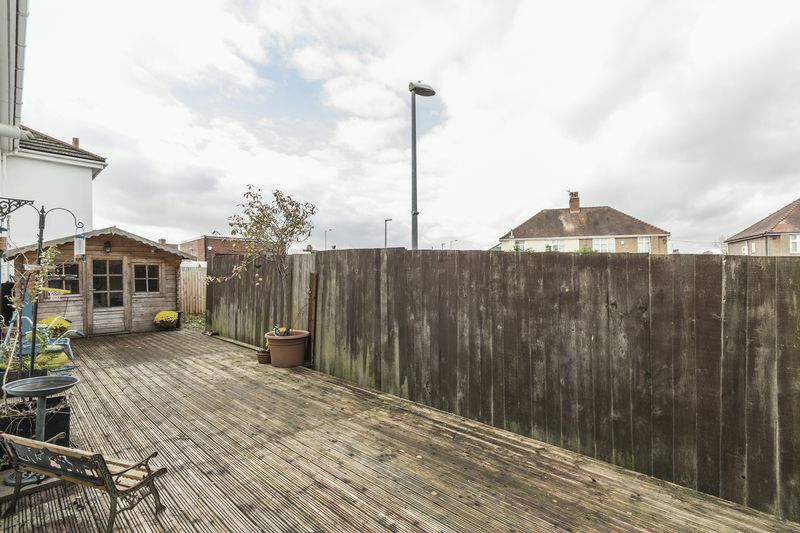 Outside the rear garden comprises of a large patio area that wraps around the house, a decked area where there is also a storage shed, this has electric running to it, and a good size lawn. 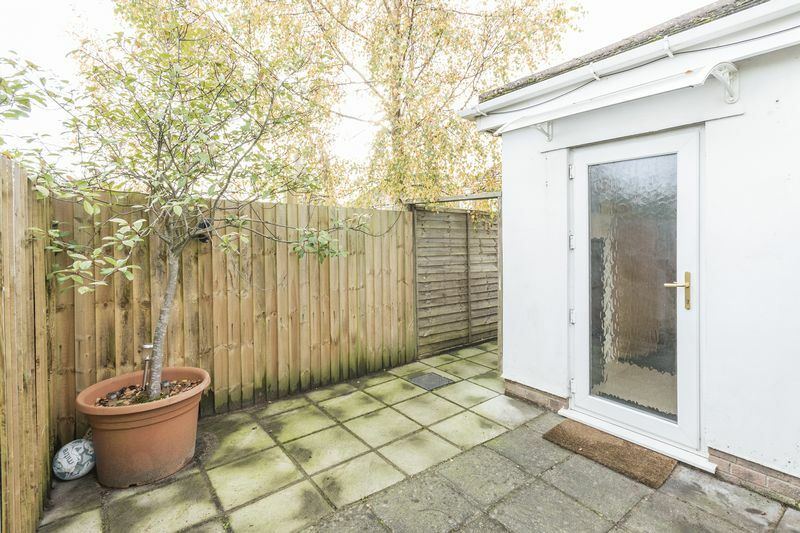 From the rear garden the annex is accessed, this was originally the garage however has been turned into perfect living accommodation for grandparents or a teenage child. 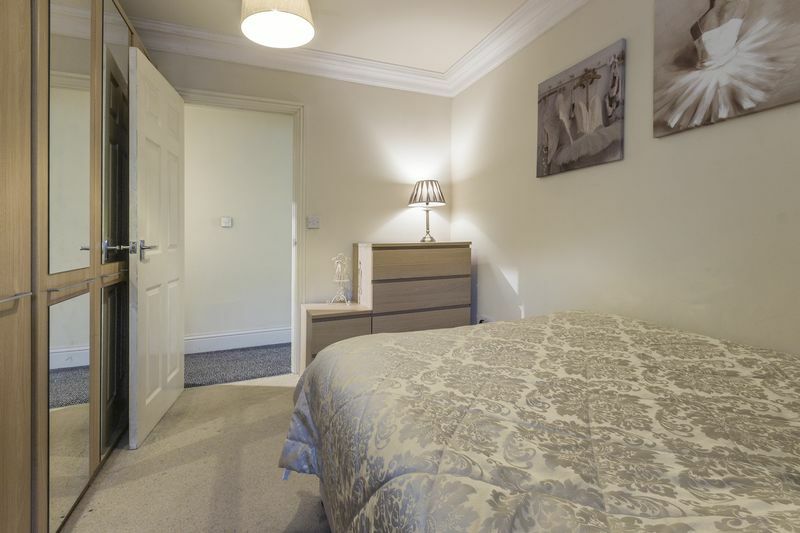 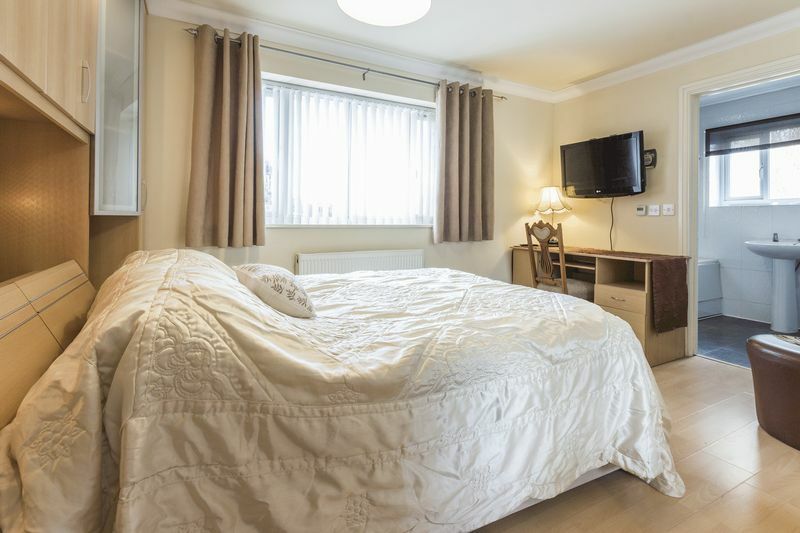 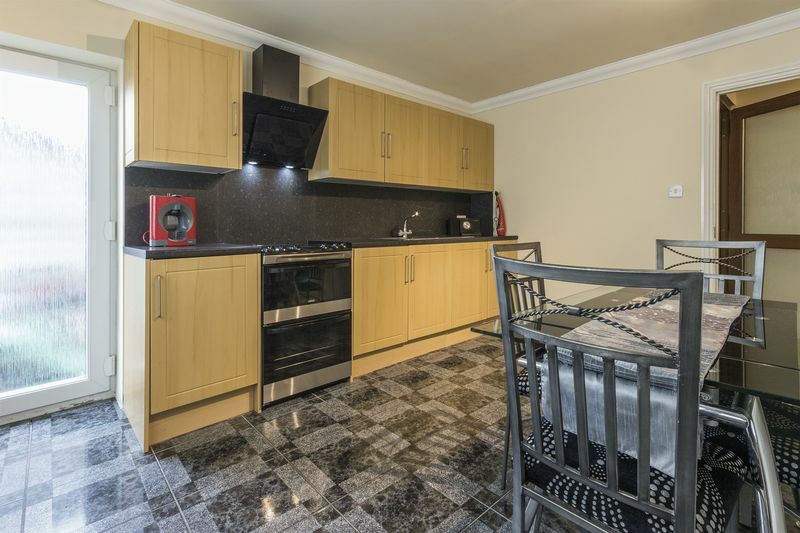 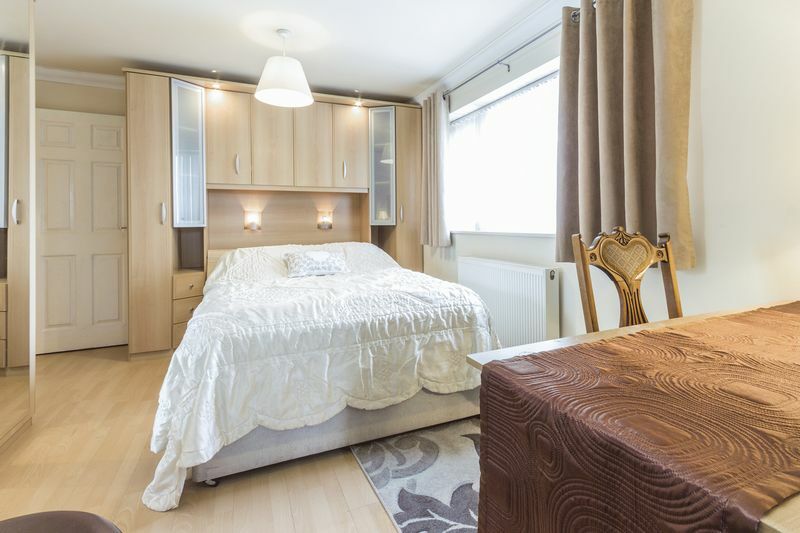 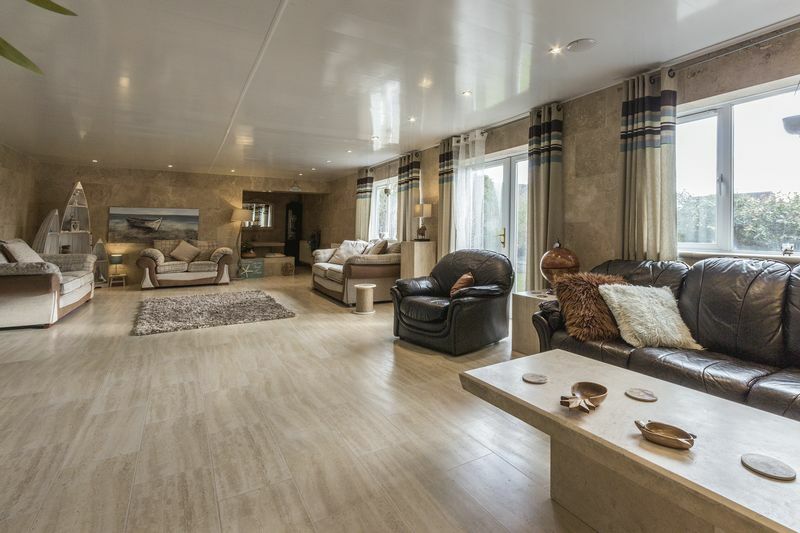 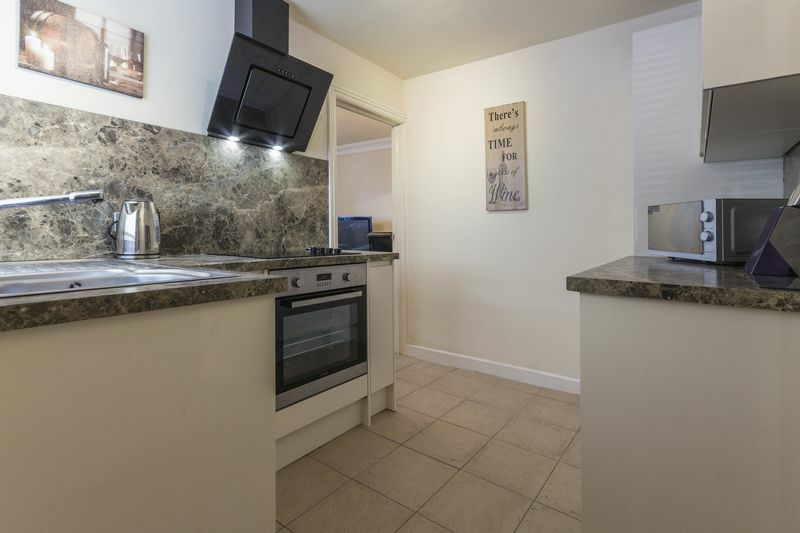 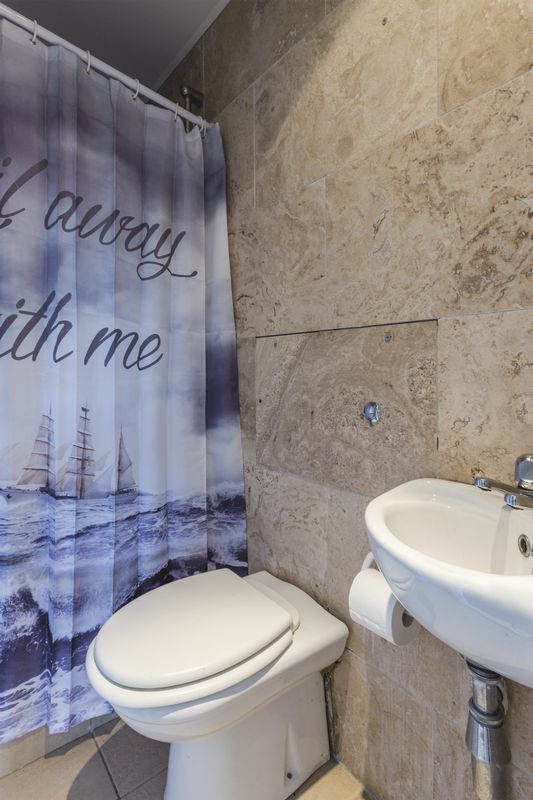 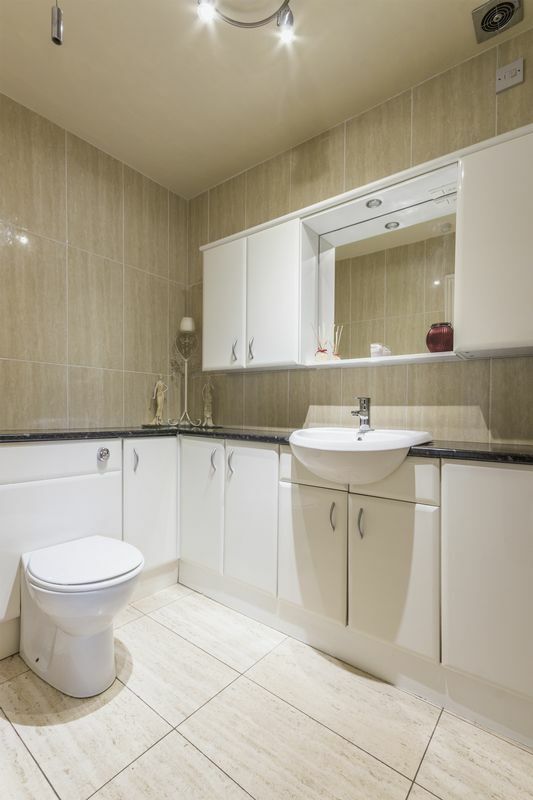 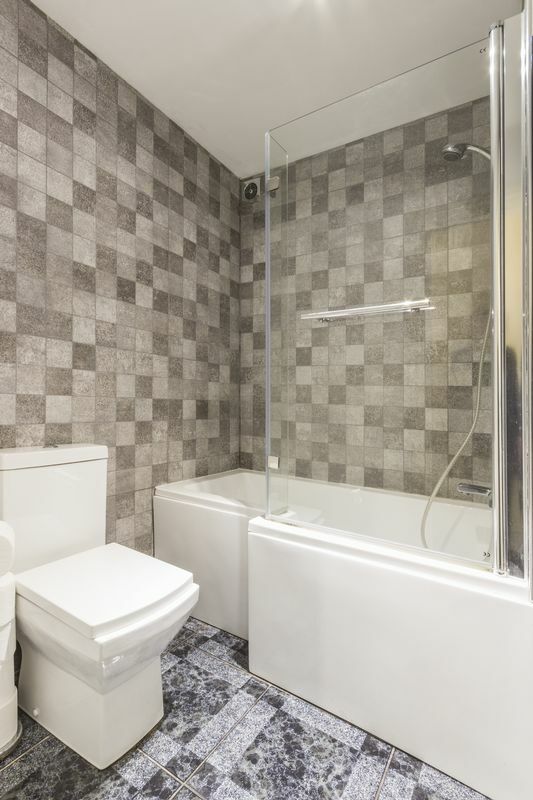 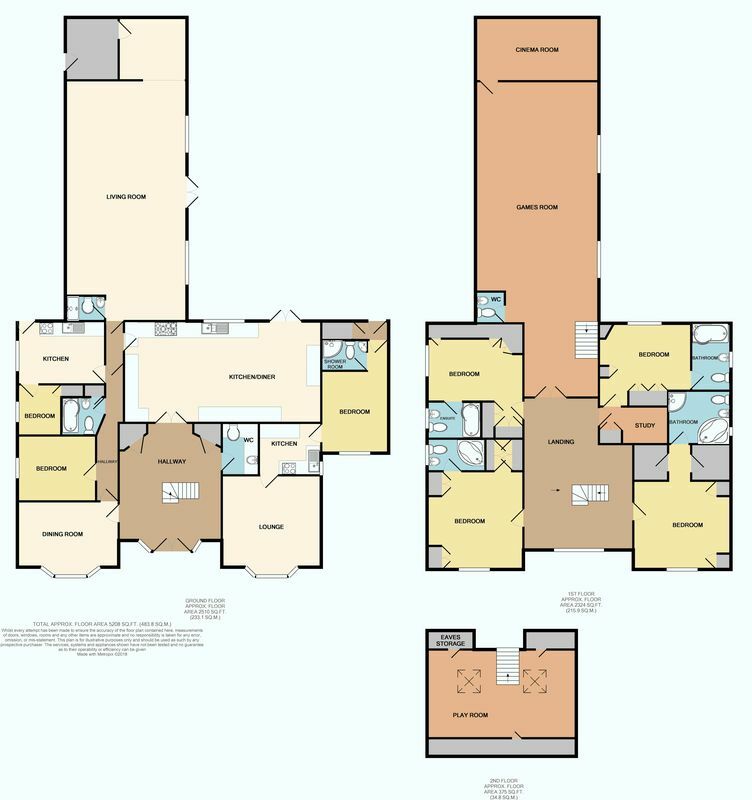 It consists of a double bedroom, en suite shower room, kitchen with integrated appliances and good-sized living dining room. 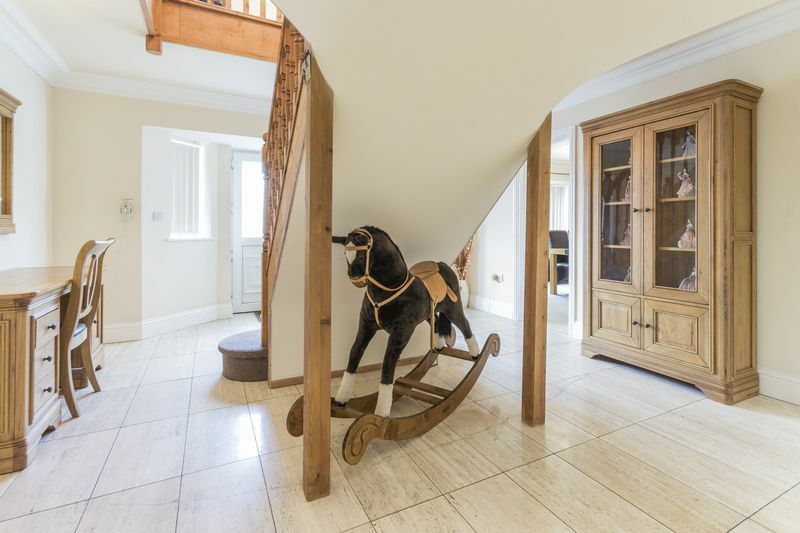 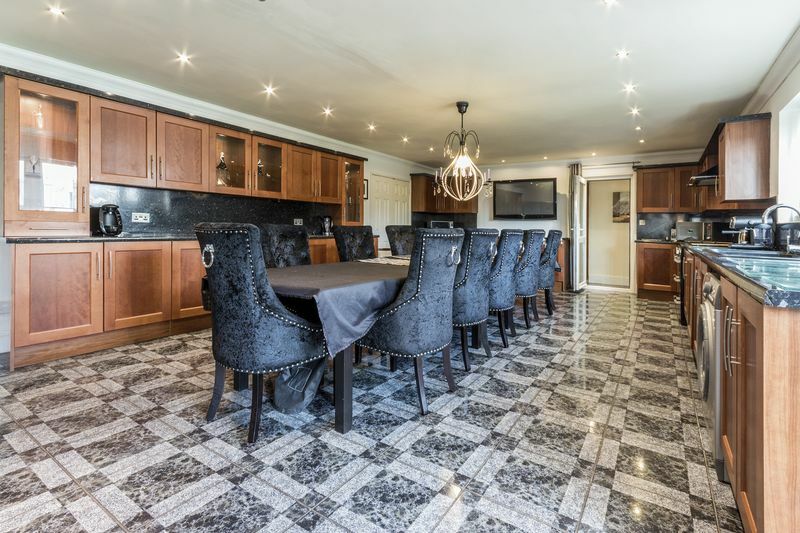 This property is one of a kind! 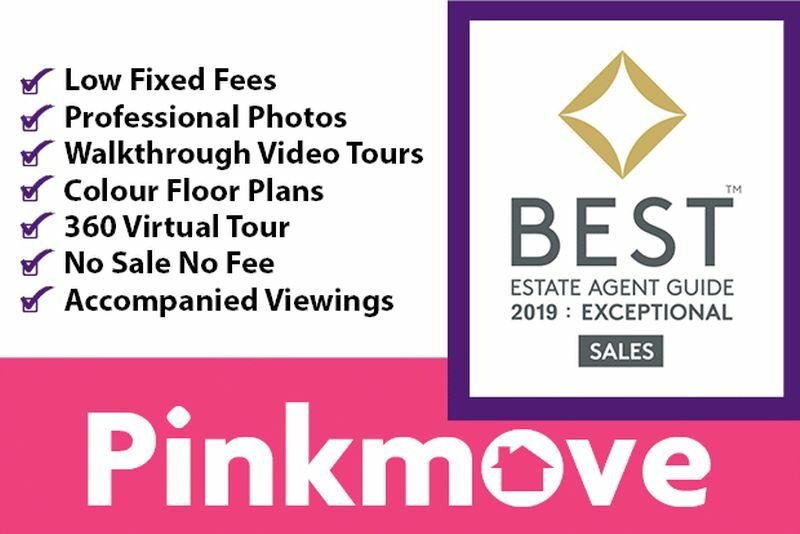 Check out the virtual walk tour and 3D scan https://bit.ly/2Kl0PQB of the house and call Pinkmove now to arrange a viewing.